Professional Learning Leaders find, use, and create learning objects for their audience every time they talk with an educator. It is important that Professional Learning Leaders are positive digital citizens, regardless of their speaking platform. Whether on a stage or sitting one-on-one with a struggling educator, Professional Learning Leaders must model equitable use of resources in every situation. Understanding the their digital footprint has a stronger impact than they might expect is something that needs to be in constant focus. 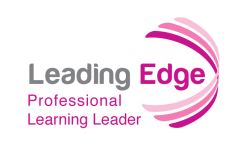 Professional Learning Leaders are ethically bound to use the information and tools in proper formats as they properly use digital-age communication and collaborative tools to interact with others. The footprint of a Professional Learning Leader can have the tendency to quickly expand into the era of social media. From a simple presentation at a small or local conference, the link to the presenters website and resources can quickly spread like wildfire. Since it’s published online, readers need to have a clear understanding as to the method of licensing the content is being published with. If it's not clear to the reader, then then the target audience is being served incorrectly. The content must be clearly labeled. Although many users simply gloss over the terms of service of a website, taking the time to construct and reflect on what is included in a Terms of Service is a valuable skill for all Professional Learning Leaders to go through. So what is copyright and why is it important? Copyright protects artists and their creations or "intellectual works" from others passing this work off as their own. The law is designed to recognize and allow the artist to receive compensation for his or her work. In other words, the person or company who owns the copyright is the only one who can legally reproduce, change, sell, distribute or perform a copyrighted work. Since Professional Learning Leaders typically want their work to stay “alive” online, having a clear understanding of how copyright works in the context of professional learning has a lasting impact. Finding and validating information is very important. PLL's need to train educators to use information properly in their own presentations and materials. As many would agree, most of the time, work published is done so to connect with others and not to skirt around any of the parameters. A Fair(y) Use Tale was created by Professor Eric Faden of Bucknell University to explain copyright law using a company who is known for its copyright terms. The video itself is licensed under Creative Commons Attribution-Noncommercial-Share Alike 3.0 License. As a Professional Learning Leader, your insight might be sought out to formally, or informally, evaluate someone’s work. Being non-biased, but through a legal lens, is important as information and message could be misconstrued by the audience. As you watch through the video above video, the question as to what can be used legally in formal and informal situations might come up. Thankfully, there are resources available to help with that. How best should Professional Learning Leaders navigate this? What are the copyright and fair use guidelines for teachers? As more and more content is published, the line of copyright seems to become more vague as time progresses. With 90% of the the worlds information being generated from 2011 to 2013, the scale at which we're exposed to information is astonishing. Thankfully, there are tools out there to help Professional Learner Leaders make sense of the massive amount of data published. For a snapshot of the guidelines, consult the "Copyright and Fair Use Guidelines for Teachers," distributed by Technology and Learning. How do you download and share digital content legally? Learn all about Creative Commons licensing below. Although content may be free to use and share, we should always give credit to content creators. Below are a few examples of some resources that can be used to help promote proper and ethical use of Copyright friendly materials when conducting workshops or presentations for any derivation of educator. With consideration to fair use, respond to each of the following three scenarios. Scenario 1: You want to use a book in a workshop. Although you have enough copies of the book for each participant, you want to make a copy of the entire book so that educators can mark on it while you study it. What copyright law(s) would govern this? What would your determination be: is this OK to do or not, and why? Scenario 2: You are creating a presentation using an online tool such as Prezi or Google Slides and adding images you found on the Internet. Can this presentation be made public? What kind of images can you legally use? Is citing the source necessary if the presentation is private? Use Copyright Law to verify your answers. Scenario 3: You are creating a screencast as a sample project for an upcoming workshop. What rules, if any, must you obey to ensure you are being a good model digital citizen? Please explain in your own words what Fair Use means to you when using music in your presentation.